This one is perhaps the least exciting of the ballparks we’ve visited, but only because it’s in our hometown, and we get to visit it quite regularly. Nonetheless, we can’t exactly leave it out. 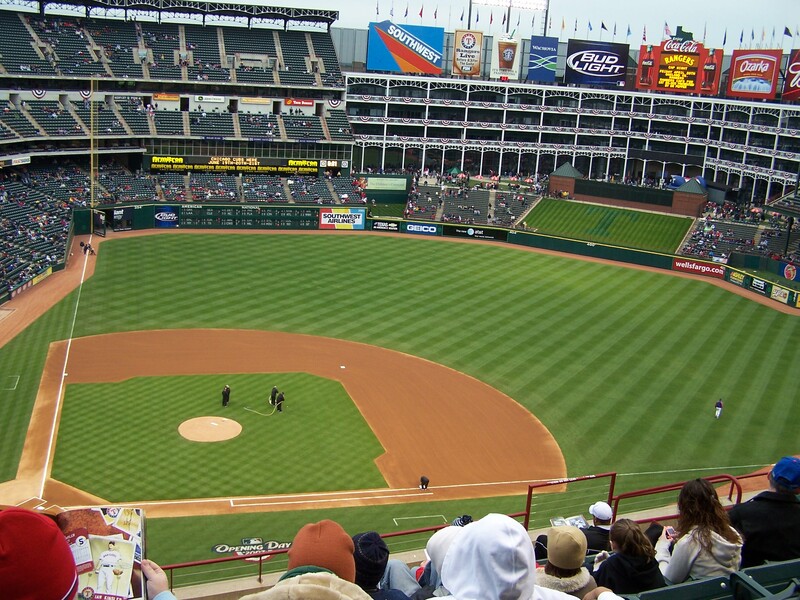 We’ve been to countless games at the now named Rangers Ballpark in Arlington, including three opening days, about 10 Rangers-Red Sox games, and watching Cliff Lee outduel the Yankees on the way to a World Series berth. The game I’ve chosen for this purpose is actually none of those. Instead, I’ve chosen a game that was pretty special to quite a few of us. 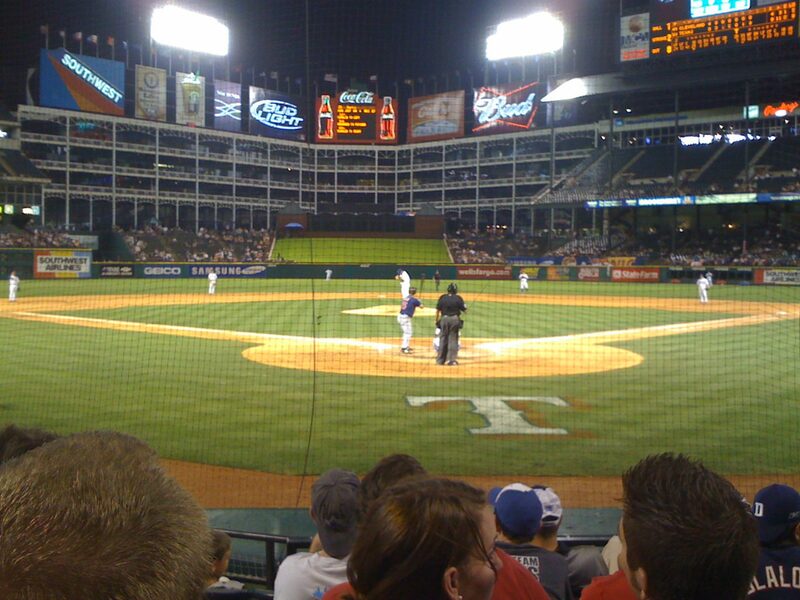 It’s the coldest game on record at the Ballpark: Saturday, April 7th, 2007, Red Sox @ Rangers. 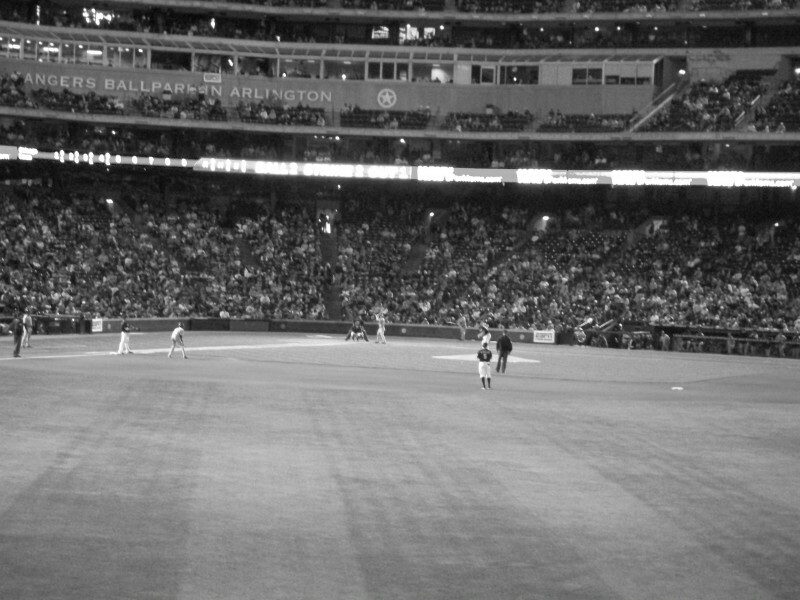 Start time weather: 38 degrees and falling. 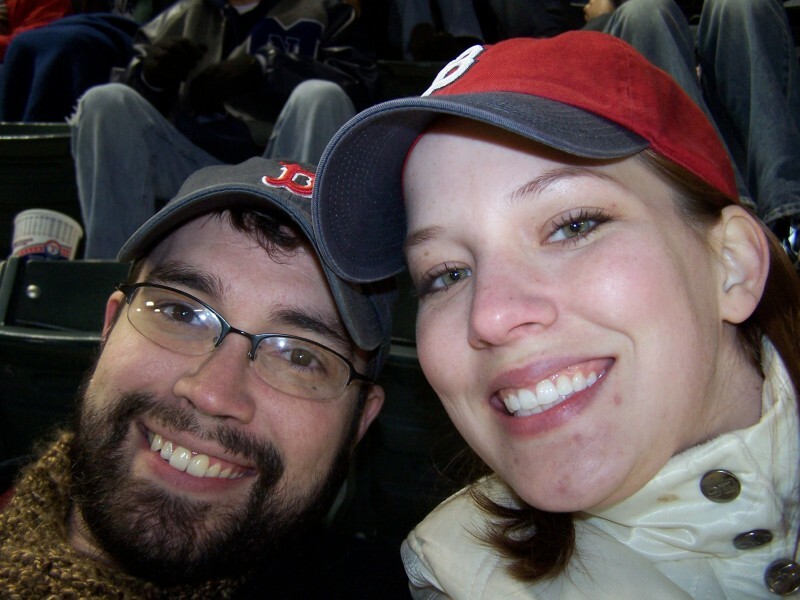 I can still remember the completely prepared “girlfriend” in front of us, as she continued to pull hot chocolate and snacks from her purse. We, on the other hand, were not so prepared. We watched with envy, clutching each other and our collars, to keep the bitter cold out. Sounds like it would be miserable, but it’s just one of those truly memorable experiences that I wouldn’t trade for anything. Slideshow not working? Click here to see the photos! 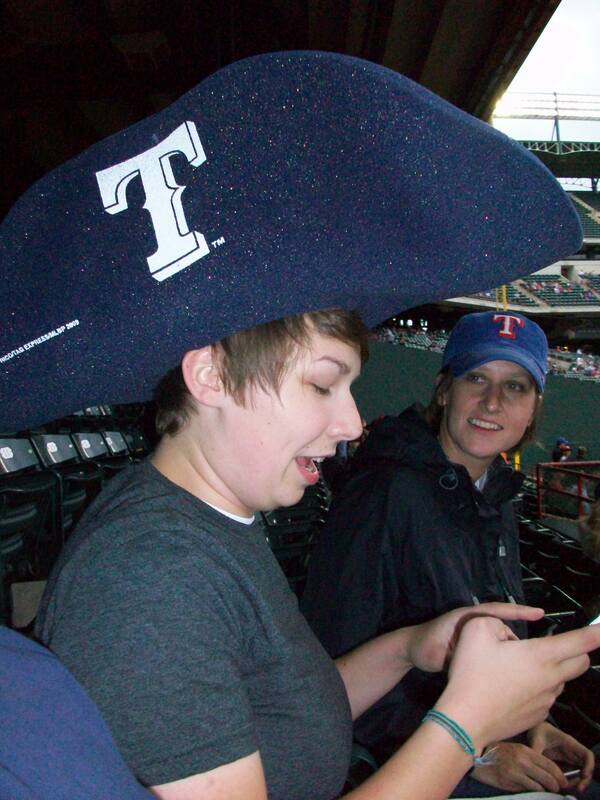 The Rangers aren’t exactly blowing anyone away with their hotdogs. (The garlic fries, on the other hand, are delightful.) That said, they’re definitely not the worst we’ve had, and you can’t really beat a warm hot dog on a cold day. 3 out of 5 dogs. I’m hoping to get quite a few more of these posted in the coming weeks. Maybe by the time I’m caught up, it will be time to add another to the series. Until then, cheers, and play ball!